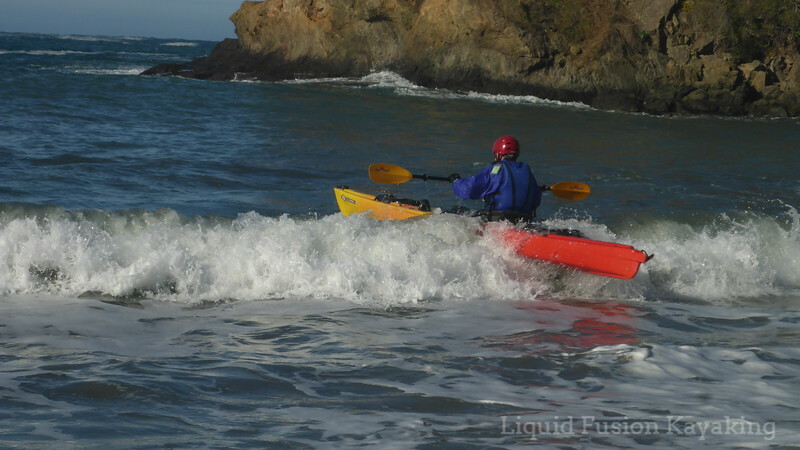 One of the funnest ways to kayak on the Mendocino Coast is on a custom trip or private lesson with Liquid Fusion Kayaking. We call this Mendo Your Way. We have lots of options to choose from and are open to your ideas. All custom trips are led by LFK's Jeff Laxier and/or Cate Hawthorne and include a photo gallery from the trip or lesson. 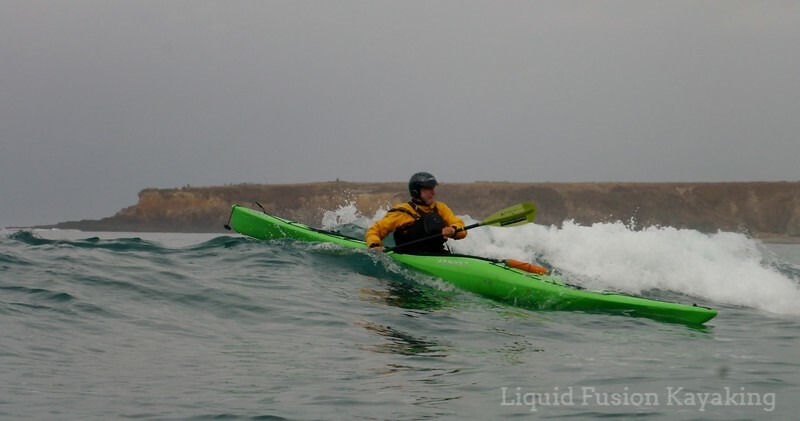 Custom Mendocino sea kayak adventures with Liquid Fusion Kayaking. 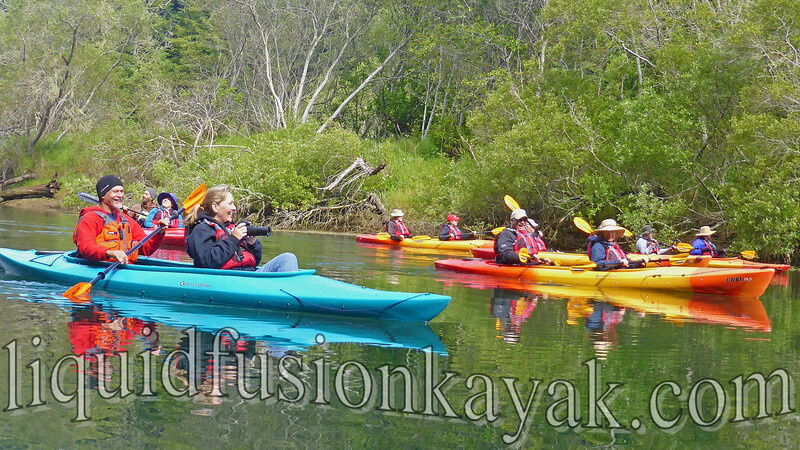 Dream up your idea Mendocino kayaking adventure and contact us to make it happen. Here are a few of the custom adventures and private lessons that we led in 2018. Rock gardening in sea kayaks on the Mendocino Coast of California. Learn to kayak and learn to kayak better lessons on the calm waters of the Noyo River - The Noyo River is an ideal place for beginning lessons and flat water perfection. Harbor seals, river otters, and a variety of birds check us out as our students learn and perfect their strokes and fine tune their capsize prevention and capsize recovery skills. 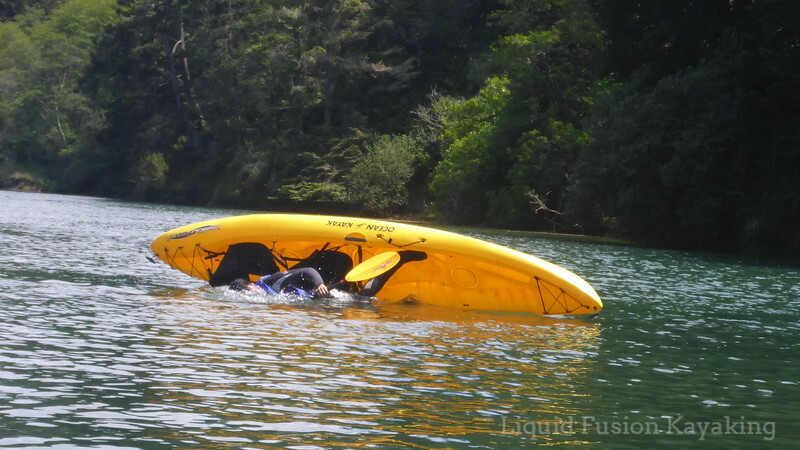 The Noyo River is a great spot for learning what to do when your kayak capsizes. The Noyo River is also an idea location for family and group kayak outings. We customize trips for ages 0-91 (oldest so far) and even the family dog. Last year our custom trips included doggie paddles, multi-generation family trips, and wedding parties. Group sizes range from 1-25 and the smile meter is immeasurable. 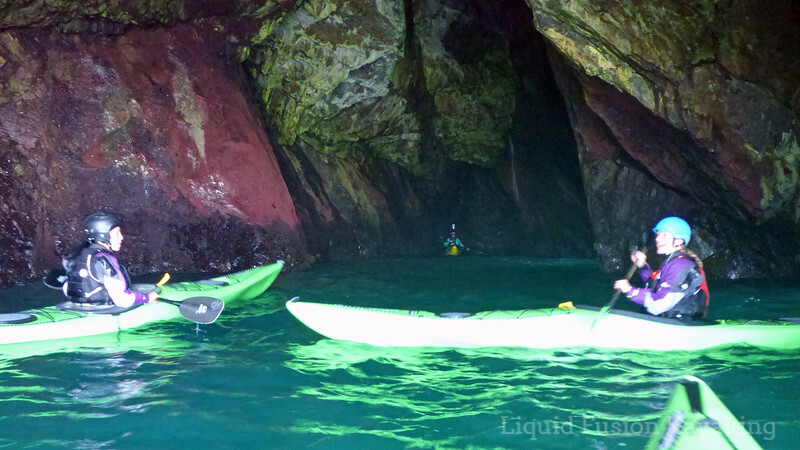 Sea Kayaking- custom sea kayak lessons and trips are fun because we can customize the trip to your interests and skill levels. 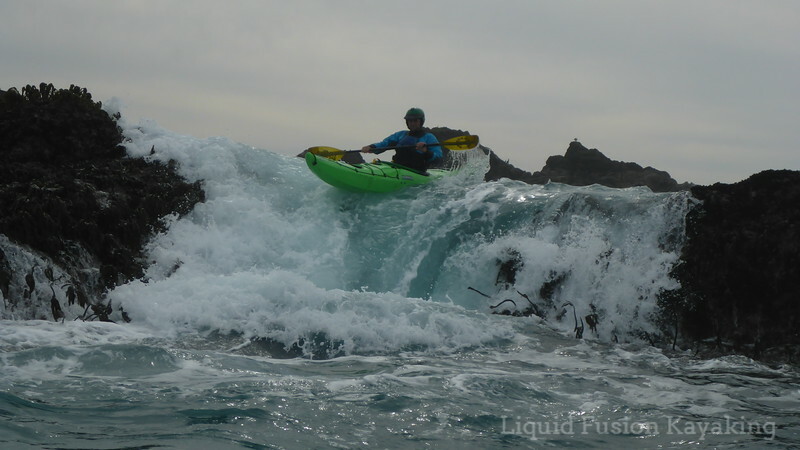 Last year our custom sea kayak lessons included 1/2 day surf zone trainings, 2 day sea kayak rock garden and touring adventures, sea kayak surfing, and 5 day intermediate/advanced rock garden weeks. Some adventures focused on skill building and some were focused on touring and play. For those that want to see the Mendocino Coast, we recommend 2 or more days so that we can maximize conditions to show you the goods. The students in last year's 5 day programs got a lot of it all and are talking about coming back again for more. Rolling - we can rent space in our local indoor swimming pool for private rolling lessons and tune-ups. In 2018, we had a variety of paddlers come roll with us. Some came for a 1 session tune-up and others joined us for 3-4 sessions of learning to roll. 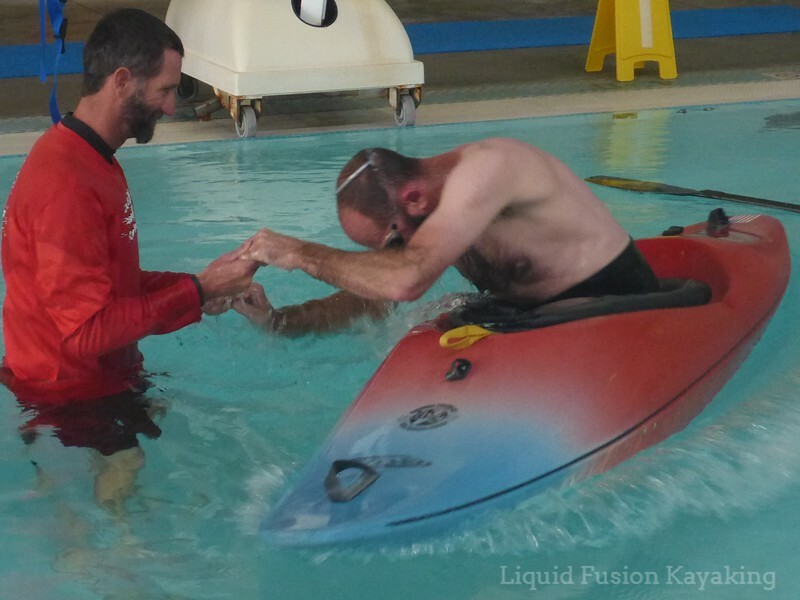 Kayak roll instruction in the local pool. 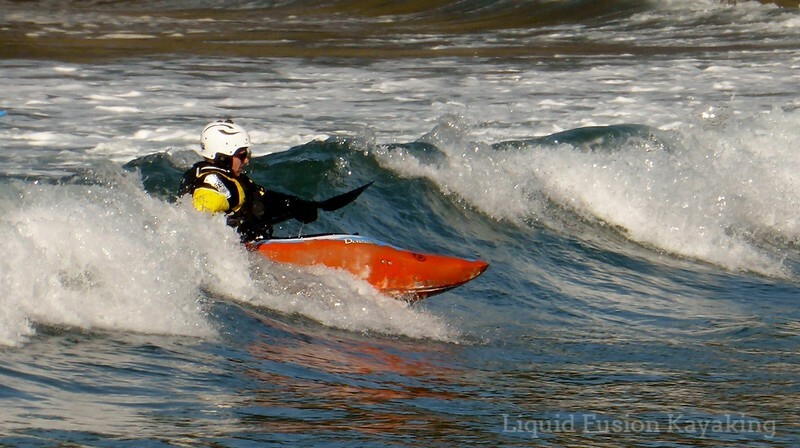 Surf Kayaking- Choose your craft and let us build your surf skills. 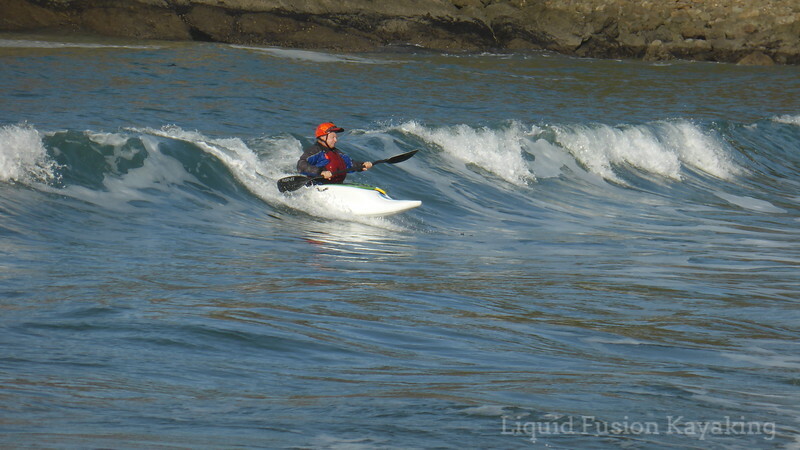 Last year, our surf private lessons included fishing kayaks, sea kayaks, sit on top kayaks, whitewater kayaks, and surf kayaks. Lessons included how to safely launch and land with control and finesse and of course kayak surfing in sea, whitewater, and surf kayaks. 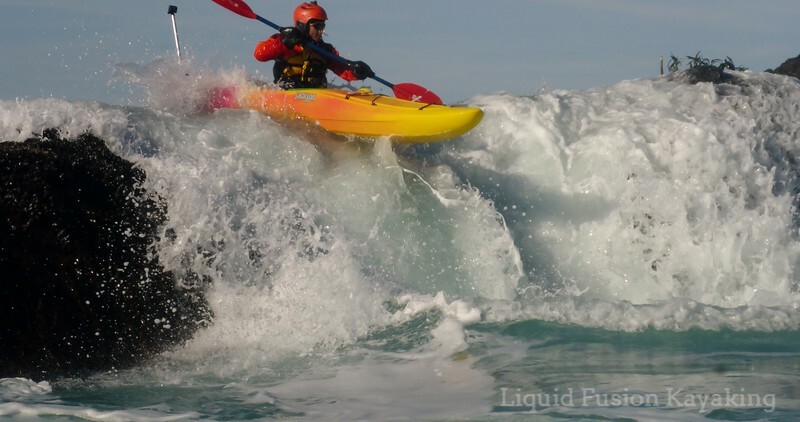 Launching and landing a fishing kayak through the surf. 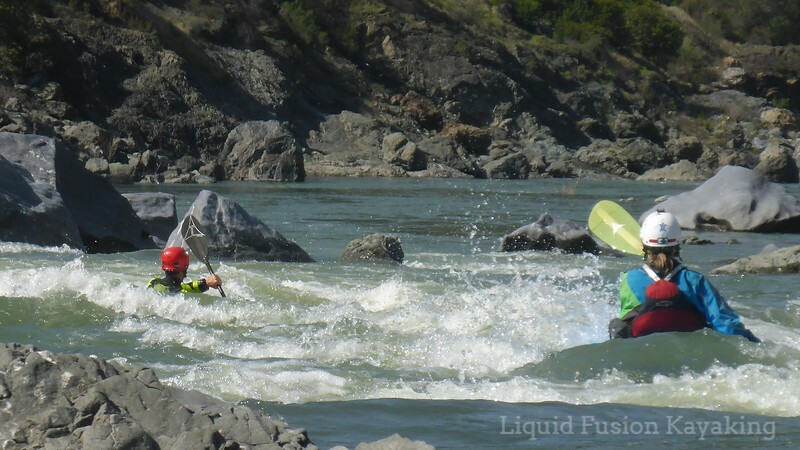 Whitewater n Surf Safari - one of our favorite custom trips to lead is our trifecta of whitewater kayaking. The trifecta is held over 3 days and includes rock gardening, surfing, and whitewater river running. 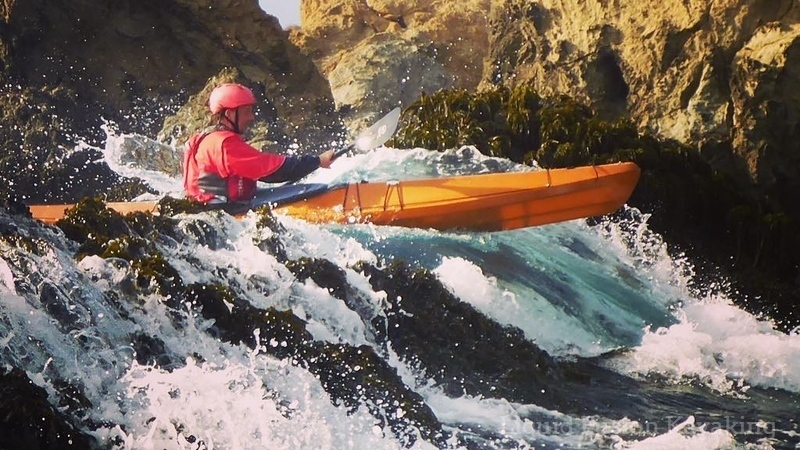 Mendocino County is one of the few places in this world where you can do all 3 of these fun whitewater adventures. 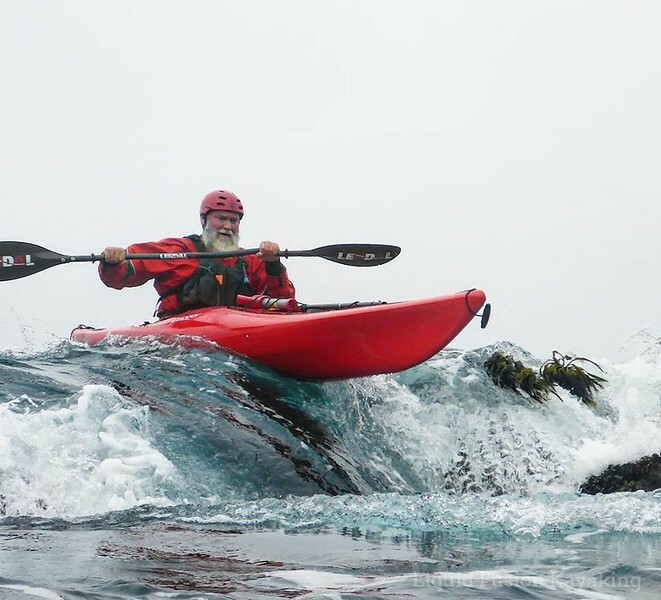 What Mendocino kayak adventure is right for you? Drop us a line and let's do Mendo Your Way.